Podcast: The College Years: R.O.C.K! 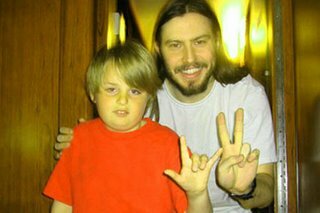 Our rock star friend, Andrew W.K., give's Jesse's little brother Brendan some rock n roll advice. Brendan Thorn (aka Eddy Demon) is the frontman of the band Total Annihilation.